Most dividends from foreign stocks, particularly those that trade on the major domestic exchanges, are qualified, meaning that they receive favorable tax treatment. Your brokerage firm bears the responsibility of reporting dividends from foreign sources on your Form 1099-Div or 1099 Composite. This form will `also report your foreign tax paid, for which you can receive credit on your tax return. If you have questions, start with your brokerage firm. They are not tax experts, but they can answer most general questions about your foreign dividends at no cost to you. Complete Schedule B from the information provided on your Form 1099-Div and attach it to your Form 1040. This form provides a detailed report of your interest income and ordinary dividends. Foreign bond fund dividends will be listed on your Form 1099-Div as ordinary dividends. Enter your total ordinary dividends from Box 1a of your Form 1099-Div or completed Schedule B on Line 9a of your Form 1040. This figure includes qualified dividends. Enter your total qualified dividends from Box 1b of your 1099-Div onto Line 9b of your Form 1040. Enter the amount of foreign tax paid from Box 6, under Form 1099-Div, on Line 47 of your Form 1040. Complete the "Qualified Dividends & Capital Gain Tax Worksheet" on Page 40 (as of 2009) of the Form 1040 Instructions to help calculate your tax on Line 44 of the Form 1040. The IRS taxes qualified dividends and capital gains income at a top rate of 15 percent compared to a top tax rate of 35 percent for ordinary income. Both top tax rates increase beginning 2011, and the top tax rate for capital gains will be 20 percent. 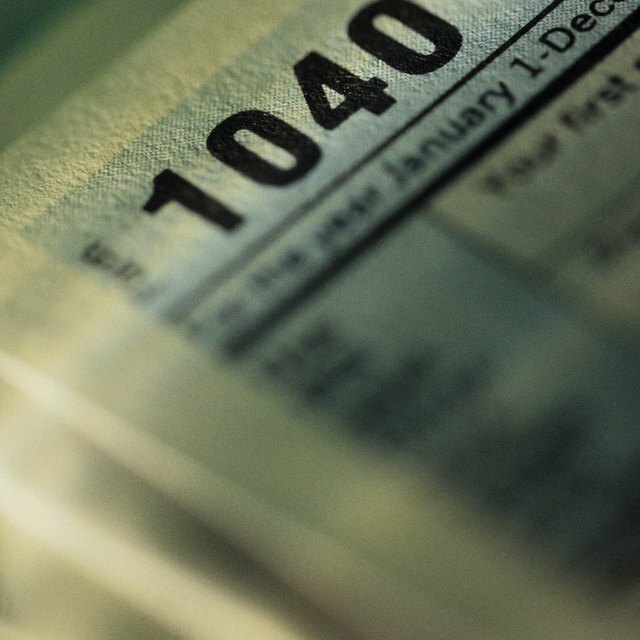 Don&#039;t forgot to attach a copy of your Form 1099-Div or 1099 Composite to your Form 1040. Be sure to report the foreign tax you already paid on your foreign dividends so that you can receive credit on your income tax return. The first Form 1099 you receive, particularly for foreign dividends, may not be your last one. Even if you expect a tax refund, you might want to wait until closer to the tax filing deadline in case you receive a corrected Form 1099 from your brokerage firm. Changes to foreign dividends and income are the most common reasons for corrected Form 1099s. Julia Thomson began writing professionally in 1996. Her work has appeared in "Stage Directions," "Phoenix New Times" and "The Valley Callboard." Thomson has expertise in investing and personal finance, with three brokers' licenses and certification as a budget counselor. She holds a Master of Music from Indiana University.